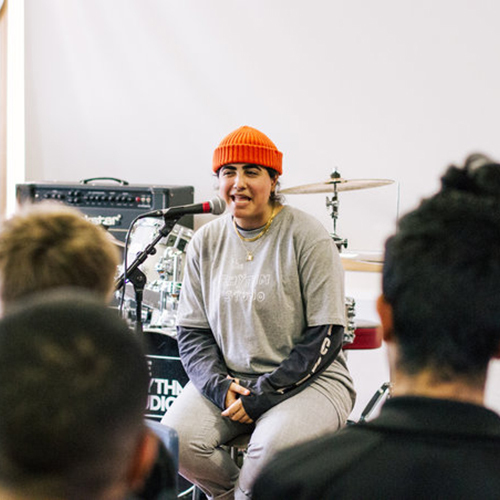 We are proud of the outstanding achievements of our students, from Platinum hits to Olivier Awards, to shows at Glastonbury, Coachella and Hollywood Bowl, RS musicians are doing what they do best in the music business. James Carter of Snakehips went triple platinum with All My Friends and was nominated for a MOBO award in 2016. He continues to produce hit records, collaborate with the biggest talents, and perform on the finest stages around the world. Selma Hansen was cast in Andew Lloyd Webber’s first West End production of School Of Rock the musical. Selma starred as bass player Katie in the School Of Rock band and won an Olivier Award for Outstanding Achievement In Music. Shamime earned her stripes recording with Jason Mraz and joining him onstage at Hollywood Bowl in 2017. She is now working on solo material with producer Martin Terefe and collaborating with the likes of The Specials and Bellatrix. 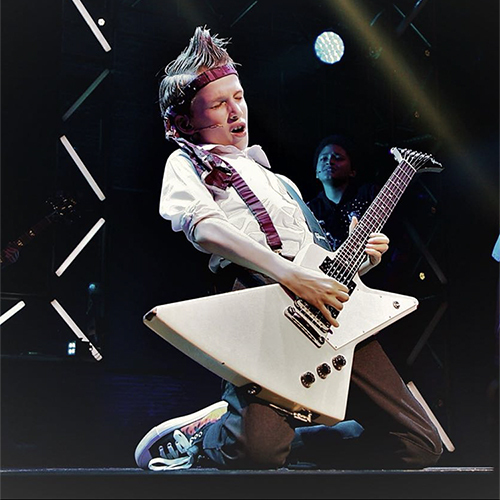 Having fine-tuned his guitar skills under the guidance of The Rhythm Studio’s Doug Cartwright, Oscar Rice landed the role of Zack Mooneyham, lead guitarist in Andrew Lloyd Webber’s School Of Rock the Musical. Celebrated freestyle rapper Young Ty released his debut single No Love on Charlie Sloth's Grimey Limey Records in November 2018. The record was by produced Hazard (Mist / Krept & Konan) and was featured by GRM Daily. Check out some of the finest tracks released by our students in our RS Student Releases playlist below.